We all know the hustle and bustle of the holiday season can be exhausting! What can make it even more stressful is coming up with a gift for someone whose tastes we may not be familiar with—a neighbor, a coworker, a boss, a new friend. Sure, there are generic gifts available at retailers, but why not save a few bucks and give something that shows the receiver you were thinking of them? Here are 4 holiday gift ideas that add a thoughtful touch from Guest Blogger Cyndi G.
The most important part of this gift is the mug you choose. Make sure it’s large enough to fit the items you’re including. You can always choose a mug with a holiday theme, but why not choose one that reminds you of the intended recipient? Perhaps a mug with flowers to give a nod to your neighbor’s garden, or one with an inspiring or funny quote to give to your boss. Use your Scrigit Scraper™ to remove the price sticker on the bottom, and wash the mug thoroughly. After it is completely dry, add an unopened envelope of hot chocolate, a few marshmallows, and either a couple of candy canes. Place the mug in a cellophane bag, tie off with a piece of wrapping ribbon, and your gift is set! This gift is so charming and simple, you will wow your recipient with your artistic creativity! 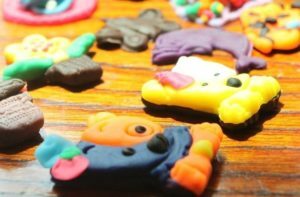 Head to your local craft or hobby store, and purchase polymer clay in your favorite colors. You can find a multi-colored pack here. You can design the clay any way you choose. Whether you decide to form a heart, or stamp a butterfly (rubber stamps can be purchased at your local craft or hobby store), or design a flower, make sure that you leave approximately ½” at the top to poke a hole for stringing. Use either end of your Scrigit Scraper™ to shape the clay and create a hole for hanging. Bake on a lined cookie sheet at 150° for 10-15 minutes and allow to cool completely before stringing with ribbon. Along the lines of the other basket, this is a fun one to throw together for a recipient who may or may not have a green thumb! 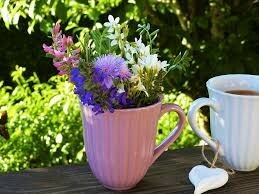 You can use an oversized mug, or a small flower pot for this gift. Place 1 cup of potting soil in a sandwich-sized plastic zip bag, and add it to the pot. Toss in a packet of flower seeds, a pair of rolled-up gardening gloves, and a Scrigit Scraper 2-pack or single scraper. The tool can be used for various gardening activities, such as poking holes in the soil for the seed and cleaning mud out of the bottom of your shoes. Place the entire mug/pot in a cellophane bag, and tie off with a ribbon. These holiday gift ideas are by no means exhaustive of the possibilities! 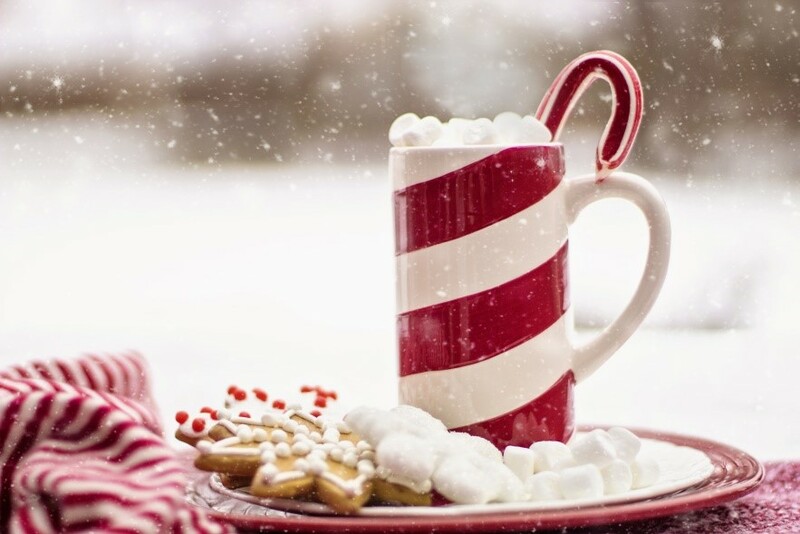 Instead of hot chocolate, use packaged herbal tea bags and shortbread cookies, or gourmet ground coffee and biscotti. Add pretty jewelry stones to your polymer ornaments (after baking) with a little craft glue. Whatever you choose to do, your recipient will be appreciative of your efforts, and your gift will certainly stand out from the status quo. If you don’t have time to make something, remember that a Scrigit Scraper 2-pack makes a very thoughtful gift for people who like to cook, work on craft projects, tackle DIY projects, and work on their cars, boats and motorcycles. 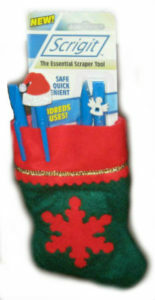 The pen-shaped non-scratch tool is very helpful for parents with young children, teachers, and even school bus drivers. You can even decorate individual Scrigit Scrapers with small stickers. For more easy holiday gift ideas, look here.